Lock in a great price for Artist Residence London – rated 9 by recent guests! Love your interior designer, and all the art was very cool. I loved the quirkiness of the room. So many hotels are so bland so it was a refreshing change. beautiful little hotel with super friendly and helpful staff in a great location. The design details were lovely. Easy access to transportation but we were also able to walk all of central london. The staff were outstanding and always very helpful. Decor was great. Sheets and towels luxurious. Cocktails great as was barman. Food delicious. Perfect! Such a great property, interesting, well run and lots of great touches. We came for our honeymoon and had a spectacular time. The hotel is beautifully designed and has such quirky decor. The service from the staff was great and we were really touched by all the gestures they made to make our us feel special. Can't thank them enough! I loved the fact that my radio was tuned to Jazz FM and that I had a window that could actually open! The snack selection was amazing and the shower was unbelievable. I cannot even begin to describe how up my alley the quirky decor was. Thank you! 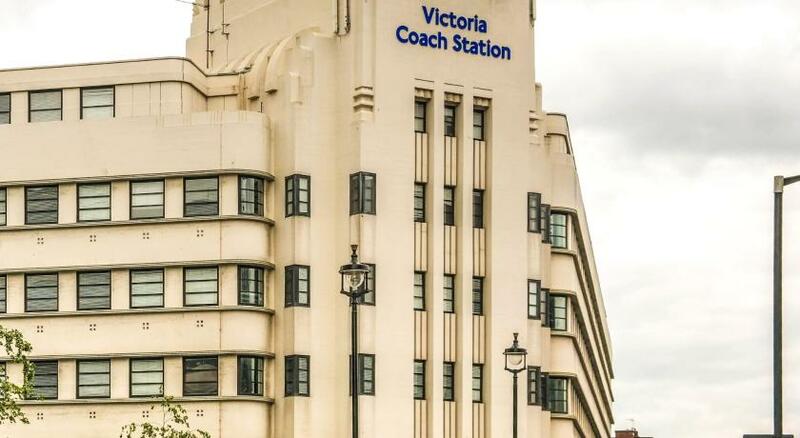 A 10-bedroom award winning hotel just 10 minutes' walk from Victoria and its rail and tube station. This stylish property offers individually designed rooms and an all-day restaurant. Offering smart design in its rooms with vintage furnishings and rustic wooden floors. All rooms have free high speed WiFi, a flat-screen TV, a DAB radio, air conditioning and an private bathroom with designer fittings. The Cambridge Street Kitchen is open all day for breakfast, lunch and dinner as well as weekend brunch and Sunday roast. There is a also a ping-pong room that doubles up as a meeting room. Tucked away downstairs is Clarendon Cocktail Cellar, a cocktail bar with a speak-easy feel, serving unique cocktails inspired by cult movie posters. The property is just a 10-minute stroll through Pimlico’s streets down to the banks of the River Thames. A 20-minute walk East along the river will lead you to the famous Westminster Abbey and Big Ben. When would you like to stay at Artist Residence London? 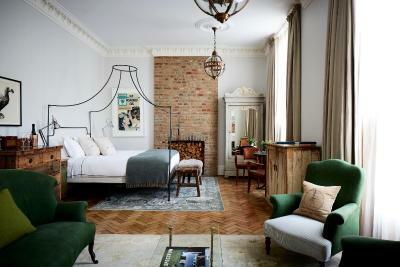 These first-floor bedrooms have high ceilings and feature limited edition prints, rustic wooden floors, a bespoke king-size bed, a desk and an armchair. Bathrooms feature powerful rain-effect showers and Lefroy Brooks fittings. A cozy third floor bedroom designed in an eclectic style with limited edition prints, rustic wooden floors, a king-size bed, a desk and a vintage leather club chair or sofa. The bathroom features a rain-effect shower, Lefroy Brooks fittings and marble or restored tiles. This room features us a super-king size bed, desk, armchair, bespoke furniture and limited edition prints. Also provided are an private bathroom with powerful rain-effect shower and high quality designer fittings, Smeg mini fridge, free high speed WiFi and a flat-screen TV. A third floor room located in the eves with 2 single or 1 super king-size bed. Designed in an eclectic style with rustic wooden floors, limited edition prints, desk, 2 vintage leather club chairs, a Smeg mini fridge and bespoke furnishings. The private bathroom has a rain-effect shower. This large third-floor room has a pitched ceiling and rooftop views. Decorated in a rustic-industrial style the room features a bespoke king-size bed, 2 luxurious armchairs, a large desk and Smeg mini fridge. The room looks onto a Water Monopoly bath and marble washstand. There is also a separate walk-in rainfall shower and separate WC. Other features include rustic wooden floors, vintage furnishings and limited edition artworks. Located on the second floor, this suite is designed in a rustic Art-Deco style with a super king-size bespoke bed, seating for 4 and large luxurious private bathroom. Features include a large sofa, 2 vintage leather club chairs, fully stocked mini-bar, large desk/dressing table and rustic wooden floors. The bathroom has a Catchpole & Rye freestanding bath tub, large walk-in rain effect shower, console sink and high quality fittings. Large and spacious luxurious suite with views over Cambridge Street from 3 floor-to-ceiling sash windows. This suite features a four-poster super king-size bed, a seating area for four, parquet flooring, a desk/dressing table, a fully stocked mini bar, a small dining table, striking artworks and antique furnishings. The room looks onto a large free-standing rolltop bath and double marble vanity sink. There is a separate large walk-in shower and private bathroom. House Rules Artist Residence London takes special requests – add in the next step! Artist Residence London accepts these cards and reserves the right to temporarily hold an amount prior to arrival. I did not have breakfast. All of the staff was extraordinary. Love the cocktail bar, only wish it stayed open later. And we left too early in the morning to enjoy the breakfast. Apart from Malvena, who was super friendly and helpful, the restaurant staff and other peeps manning the Reception Desk were at times too cool to smile. I had the impression that they were really very, very busy and important. You've got such an amazing establishment. Perhaps you sould cherry pick your staff the way you obviously hand selected every amazing item and piece of furniture. Your staff need to be as quirky and warm as your place.